'Full strength' remains a long-forgotten concept in the Dortmund dressing room, with midfielder Sven Bender (dead leg) and defender Sokratis (foot) doubts for Saturday’s clash with FC Augsburg. Nuri Sahin suffered a broken nose in training, while Ilkay Gündogan’s comeback hit the skids owing to an untimely bout of bronchitis. 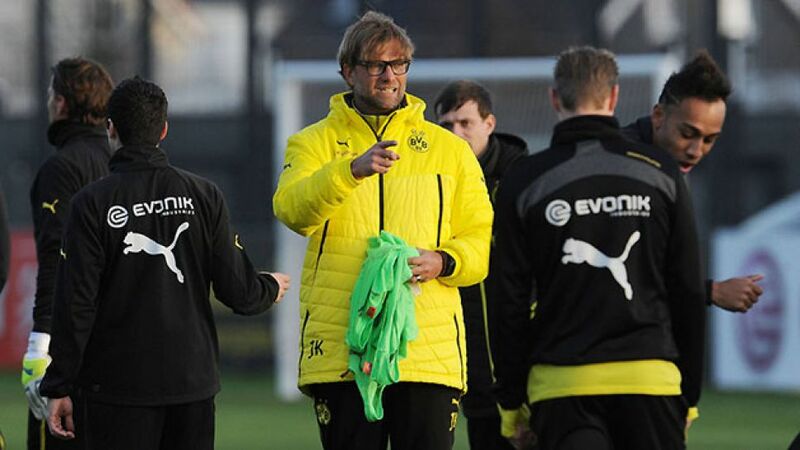 On a more positive note, full-backs Lukasz Piszczek und Marcel Schmelzer are shaping up nicely ahead of the restart. As well as the injuries, BVB’s substandard season so far has been beset by one profligate display after the other. Despite scoring only four fewer goals than FC Bayern München in the Bundesliga, Lewandowski and Co. have also squandered no less than 23 clear-cut chances. Their performances in the UEFA Champions League have mirrored their domestic travails, although they did come good when it mattered most in the final round of group fixtures to book their place in the last 16 of the competition. With 12 points to make up on reigning Bundesliga champions FC Bayern, Dortmund’s priority has to be to secure Champions League football for another season. Direct qualification remains firmly in their crosshairs, with BVB trailing third-placed Borussia Mönchengladbach by a single point and Bayer 04 Leverkusen a very surmountable five points better off in second. Lewandowski bagged his first Bundesliga hat-trick against upcoming opponents Augsburg in a rampant 4-0 win back in October 2011. Long-term absentee Vierinha aside, head coach Dieter Hecking had the luxury of putting his entire squad through their paces during the winter break. Returning striker has rediscovered his poacher’s instinct, but the big news has to be the signing of De Bruyne from Chelsea FC. The 22-year-old set the Bundesliga alight whilst on loan at SV Werder Bremen last term and could well prove the difference between a top-four finish and a place in the UEFA Europa League. Wolfsburg have been outscored by eight of their Bundesliga contemporaries, with Ivica Olic responsible for seven of the Wolves’ 28 top-flight goals so far. Dost and De Bruyne will inevitably see to that, but the former might well find himself having to help out at the back where VfL have conceded more goals from free kicks and corners than any other club this term. From flirting with the relegation zone to rubbing shoulders with the best the Bundesliga has to offer, the Wolves have come a long way this past year. Big-name signings like Luiz Gustavo and now De Bruyne are a clear signal of intent from the men in charge, who will be hoping the 2013/14 campaign provides the platform for a prolonged tilt at the top four and maybe even the title in the years to come. Ivica Olic, 34, has scored more goals during the first half of the 2013/14 campaign than in any previous Bundesliga Hinrunde. The recent acquisition of Norway number one Rune Jarstein could not have come at a better time for Hertha, who are expected to be without first-choice stopper Thomas Kraft (back) and young goalkeeper Marius Gersbeck for this weekend’s trip to Eintracht Frankfurt. Midfield duo Peer Kluge (back) and Tolga Cigerci (Achilles) are also major doubts, while Fanol Perdedaj has moved to second-tier club Energie Cottbus. How quickly Jarstein acclimatises to playing in the cutthroat world of the Bundesliga could have quite the bearing on Hertha’s second season half. The 29-year-old has enjoyed precious little playing time since leaving his native Norway in November and it showed as the capital club succumbed to a comprehensive 3-0 defeat in their second warm-up game of the winter break against Gladbach. The Europa League is the dream, but holding onto a place in the top six won’t be easy. After picking up just 20 points from their first 17 outings of 2011/12 (W4, D8, L5), Hertha went on to record just three post-winter wins and were duly relegated to the second tier. "If we stay up, we’ll have reached our goal," admitted Luhukay. Hertha celebrated their highest-ever away win in the Bundesliga against Matchday 18 hosts Frankfurt (0-5, January 1978).